Woody Allen’s gem of comic kvetching has been called perfect ‘for anyone who’s been in love’. 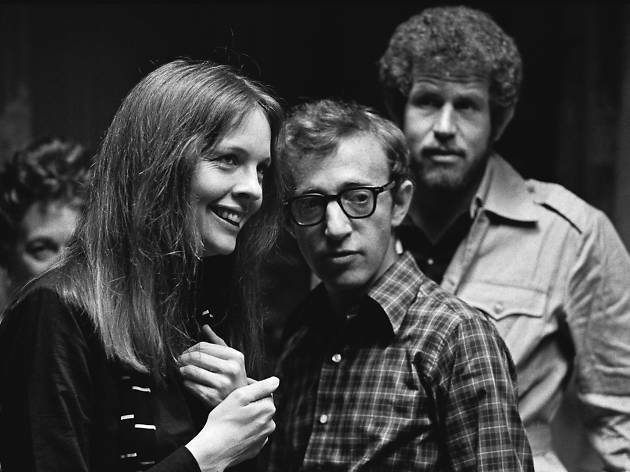 But love doesn’t fare too well in Allen’s black-and-white paean to both his city and its inhabitants, who exist in that very particular, hyper-neurotic patch between the media and academia that the director has mined so adroitly in movies from ‘Annie Hall’ to ‘Husbands and Wives’. Here, Allen himself is Isaac, a television writer thinking of making the leap to proper literature, whose 17-year-old girlfriend Tracy (Mariel Hemingway) appears positively adult in his shadow. Meanwhile, Isaac’s friend, Yale (Michael Murphy) is doing the dirty on his wife with feminist iconoclast Mary (Diane Keaton), a woman who waxes about the ‘Academy of the Overrated’ (Van Gogh, Bergman, Mahler, Mailer…) and makes such effortless declarations as, ‘My problem is that I’m both attracted and repelled by the male organ’. When Yale decides to end things with Mary, Isaac steps into the vacuum, leaving plenty of room for him to worry about his dying relationship with Tracy and the impending publication of a memoir by his ex-wife-turned-lesbian, Jill (Meryl Streep). As ever, Allen has Bergman on the brain (his character even calls him ‘the only living genius in cinema’), but here he crafts a successful marriage between his own brand of self-aware comedy, a Bergman-esque concern for the pain of relationships, the elegiac music of Gershwin and Gordon Willis’s monumental photography of the city. Amid the blinkered and selfish behaviour of Isaac and his cronies, it’s Tracy who wins the moral crown but everyone else who gets the good lines.